Le Royal Meridien Beach Resort & Spa is situated on Dubai’s JBR Walk - the beachfront promenade dotted with luxury shops, restaurants and cafes. 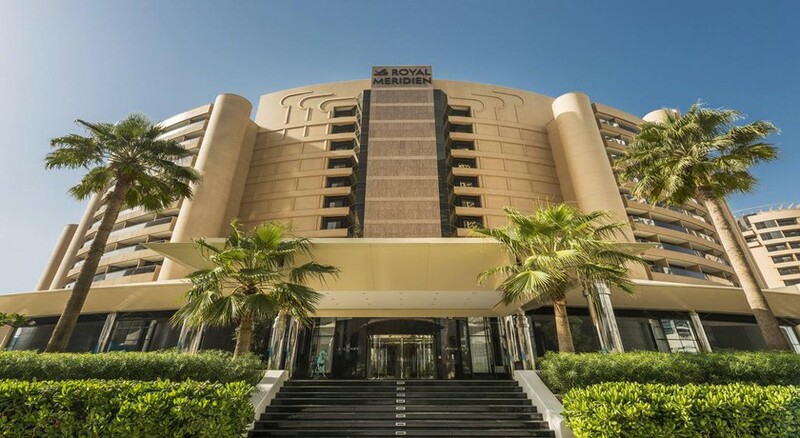 With plush rooms, direct beach access, world-class amenities and 5-star services, this multiple award-winning resort provides a comfortable stay in glamourous Dubai. 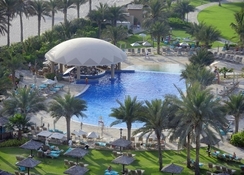 The Le Royal Meridien Beach Resort & Spa features delightful indoor and outdoor pools, a private beach, nine classy restaurants and bars, the rejuvenating Caracalla Spa plus a host of recreational activities and kids' clubs, catering to all kinds of tourists – from families, couples and honeymooners to solo and business travellers. 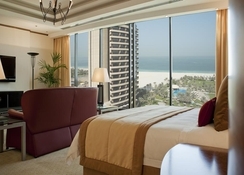 Overlooking the azure Arabian Gulf, the resort offers 504 rooms and suites equipped with modern amenities. The hotel's food and drink scene offers a medley of culinary delights, from Mexican, to Italian and Asian flavours amid tranquil surroundings of lush gardens, pools, playgrounds and a fabulous beach - making it the perfect resort to enjoy your Dubai holidays. Located in New Dubai on the famous Dubai Marina, the Le Royal Meridien Beach Resort & Spa is next to a stretch of private beach. The vibrant neighbourhood is lined with glitzy restaurants, shopping malls and clubs. Iconic tourist attractions like Palm Jumeirah, Burj Al Arab and Souk Madinat Jumeirah, Jebel Ali Free Zone, Emirates Mall and Emirates Golf Club are all a short drive away. 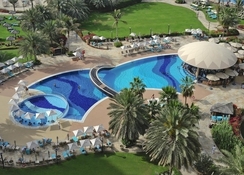 The nearest airport is Dubai International Airport, just 33km from the hotel. 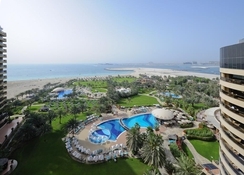 Le Royal Meridien Beach Resort & Spa houses 504 rooms and suites in multiple categories. There are two types of luxurious rooms, Super Deluxe and Royal Cub, and five types of sophisticated suites, Super Deluxe Suite, Royal Club Suite, Presidential Suite, Royal Suite and Apartment Suite. 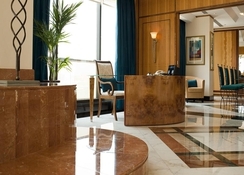 Featuring private balconies overlooking the Arabian Gulf, the rooms and suites come with en-suite bathroom, hairdryer, bathrobes, TV with satellite connection, fridge and air conditioning, iron/ironing-board and inbuilt safe deposit. The resort also provides butler service, wake-up call, fruit basket, free local dailies and 24-hour room service. Le Royal Meridien Beach Resort & Spa features nine fantastic on-site restaurants and bars, specialising in a variety of cuisines. Brasserie 2.0 is the hotel's all-day dining spot, serving buffet-style food, Rhodes Twenty10 is a steakhouse, Geales is where you can indulge in fresh seafood, Zengo is a delicious Pan Asian, Al Khaima is Middle Eastern, Maya Modern Mexican Kitchen boasts Tex-Mex and Ossigeno is a hearty Italian venue. If you wish for tea and pastries, Al Murjan is the place. Guests can unwind over a cocktail and a range of other alcoholic and non-alcoholic drinks at the Shades sports bar and restaurant, too. The resort offers boat trips, jacuzzi, squash court, fitness centre, fishing, golfing, tennis courts, wind surfing, beach volleyball, kayaking, sailing, banana boat rides and water skiing. Guests can choose from outdoor heated pool, lower pool, infinity pool and outdoor children's pool – all equipped with sun loungers, recliners and parasols. Sun lovers can soak up the rays amid the beautiful landscaped gardens or head to the beach. The delightful Caracalla Spa provides beauty treatments and massages. Kids aged 5 to 12 years can have a fun-filled day at Penguin Club – the on-site mini club offering sports, games and activities.